“But as for me, I will look to the Lord, I will wait for the God of my salvation; my God will hear me” (Micah 7:7). I shall begin introducing myself. My name is Sr. Eyling Reyes and I collaborate in the administration of the Missionary Groups of the Home of the Mother. I am, therefore, a privileged witness of the generosity with which you all have helped us during these years, but in a special way, since the past 16th of April when the earthquake destroyed the structures of the Holy Family Educational Center in Playa Prieta, and left several families in the area in needful situations. 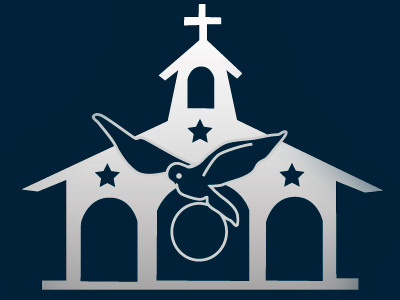 The Missionary Groups of the Home of the Mother, as you know, develop a diversity of projects in Ecuador, both humanitarian collaboration as well as evangelization: sponsoring families, scholarships, sanitary aid, missionary and sanitary expedition sustenance in the equatorial forest (in what is called “Puyo”), the operation of the Maria Elisabetta Farm… and now Holy Family Educational Center’s reconstruction tasks were incorporated into these projects. The help you have offered these past months, on a material level as well as spiritual, has been absolutely necessary to jump ahead to undertake the school’s reconstruction as well as launching an urgent aid plan to assist the basic needs of hundreds of families. Since the floods previous to the earthquake, and in a special way following the earthquake, we have seen how the Lord does not allow anyone to outdo Him in generosity. Each one of you, in one way or another, have proved this to us. In this way, through your donations, you have had the opportunity to practice all the Works of Mercy. You have fed the hungry, given drink to the thirsty, instructed the ignorant, counseled the doubtful, clothed the naked, sheltered the homeless, and comforted the sorrowful… You have practiced all of these through the humanitarian aid that our sisters have distributed, with the help of the Laity of the Home of the Mother: food, First Aid supplies, medicine, water, mattresses, appliances, roof reconstruction aid, the reconstruction of the school and much, much more. I have had the privilege to visit Ecuador during the month of October with Fr. Rafael Alonso, founder of the Home of the Mother, and our Superior General, Mother Ana Campo. Our first visit was to Playa Prieta. What a huge gift being in the very place, which, for us is no longer simply a place of mission but where our first sisters have died giving their lives to the Lord for love of souls! We were personally able to verify the advances of the construction projects. They truly do progress in an impressive manner, taking into consideration that the whole school was nothing more than a pile of rubble just six months ago. It is my hope that you are able to follow the progress of the works through the news published on the website and through the newsletters we have sent. As you probably remember, the reconstruction of the school started by tearing down the buildings, which although they were left standing, where seriously damaged on a structural level, and the withdrawal of the rubble. The next step was preparing the ground by withdrawing the argillaceous dirt and filling it back in and compacting it until was able to be built upon. As of now, this work has been carried out where the classrooms are, where the court is and the where chapel is starting to be built. The areas where the sisters’ house, the volunteers’ house and the Assembly Hall will be built are still in need of improvement. The fourteen classrooms (donated and built thanks to the Fundacion Telefonica’s collaboration) are already in function. At the moment, one of them is being used as chapel and another as library. The provisional chapel is very beautiful. The high school students themselves prepared the plant baskets. One’s heart is filled with joy upon seeing the children walk in to greet Our Lord and Our Blessed Mother. I observed them during recess running amid the piles of dirt where the workers toil. The expressions of joy on our children’s faces are indescribable. There is a beautiful, familiar atmosphere in the school. Everything is half-way done, but they are as happy as if it were the best school in the world. They themselves are doing raffles to raise funds for the tile floors. They are happy. Little by little, with Our Lord’s and your help, we are moving along with the school’s installations and helping the families in need. Thank you for “helping us help.” Your charity will be recompensed in Eternal Life. At this moment, the preschool classrooms, the chapel and the court’s roofing are being constructed. Please pray for all of the Brothers and Sisters who are in Playa Prieta, at the service of the community, at the service of the school children, at the service of the families and for all of the apostolate being done in Ecuador. Never forget that “As you did it to one of the least of these my brethren, you did it to me” (Matthew 25:40).